It's up to us to keep our neighborhood clean and safe. As we continue improving our community, we need to remember that it takes all of us to make Paradise Palms a beautiful, clean, and safe neighborhood. This means keeping our private property and our community’s public property clean. Criminals look for neighborhoods that look neglected. It's a sign that the residents don't care. 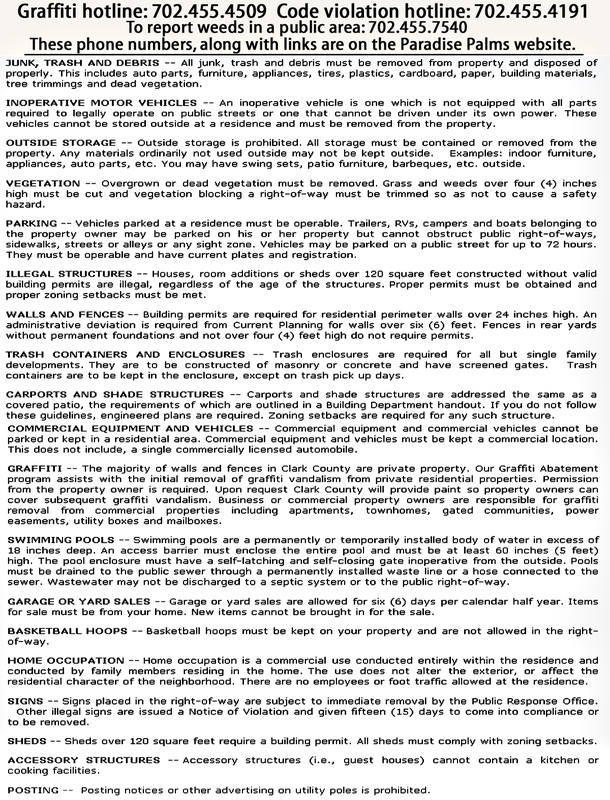 If you see issues that require code enforcement, submit a request here. 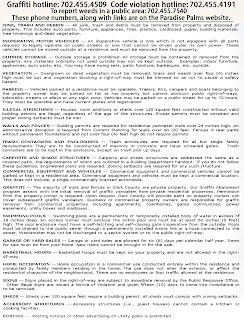 Click image to see a large version.